Summary: Were investigated features and approaches of developing cross-platform mobile applications. Keywords: cross-platform, mobile, application, iOS, Android. Summary: Analyse of mobile applications of mHealth and applications for patients with diabetes. Key words: mobile application, medicine, diabetes, the analysis of blood sugar levels. Ivchenko D. A.Bondarenko O. S.
Summary: Review of technologies of analyze of the glucose level in a human body. Keywords: technologies, analyze of glucose level, diabetes, medicine. Анотація. У даній роботі проведено огляд найбільш поширених моделей оцінки банківських ризиків. Проведена їхня порівняльна характеристика. Ключові слова: кредитний ризик, прогнозування, кредитоспроможність, модель. Abstract: The possibility of "smart" search RDF-storage facilities such as library publications. Keywords: RDF, OWL, ontology, base of knowledge, semantic web, SPARQL, resource description environment, triple. Abstract: The classification of conflicts in the context-aware system based on its conceptual boundaries layers and features of its resolving. Keywords: context-aware systems, conflict, conflict classification, conceptual boundaries layers, conflict resolution. Abstract: The basic principles of the semantic reasoners were investigated and a comparative analysis was made. Keywords: reasoner, Structural reasoner, Pellet, Hermit, semantic tableau, hypertableau, forward chaining, backward chaining. Summary: The article considers the problem of using VirtualBox virtualization environment for automated testing of mixed cryptographic systems..
Key words: information protection, testing in virtual environment, VirtualBox, cryptographic system. Summary: In this work an overview of existed systems of cluster analysis and data visualization was made. After analysis and projecting was made system with such functionality: uploading, normalizing and analysis of input data; cluster analysis using various types of algorithms; visualization and saving results of cluster analysis. Key words: cluster analysis, data analysis, big data, cluster, distance measure. Summary: The work is dedicated to the development of an automated system of big data collection, processing and analyzing. Key words: hadoop, big data, flume, data processing. Summary: The article considers problems are used for applications and also software tools used for inspection of code and launched a new security model code. Key words: information security, protection system against hacking. 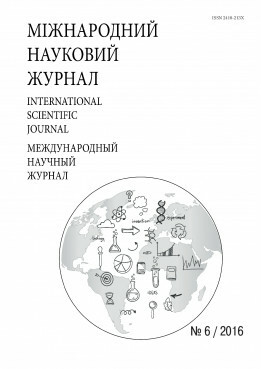 Isaev S. M.Tuychiyev B. O.Norkobilov S. A. Summary. The corresponding sub-system deals with measurable properties that can be orthogonal outputs of filters, or any other potential operators. If the output signal is continuous it is quantized as if the logic, then this is perceived, and each digital input signal is treated as a dimension. Proposed in this paper, an automatic signal detection system allows the device structure based on mass-produce integrated circuits and microprocessors to develop a model and prototype systems. Abstract: Genetic Algorithms are a powerful search technique based on the mechanics of natural selection and natural genetics that are used successfully to solve problems in many different disciplines. In this paper we present genetic algorithms in one of the most important optimization problems in computer science, database query optimization for large join query. Current query optimization techniques are inadequate to support some of the emerging database application. In this paper, we outline a database query optimization problem and describe the adaptation of genetic algorithm. And comparison between simple SQL queries having five join and same query using genetic approach. And also give basic overview of the Carquinyoli Genetic Optimizer based on Genetic Programming. Keywords: Genetic Algorithms, Query Optimization. Summary: Were investigated main features of the functioning of mobile applications for asthmatics. Key words: asthma, mobile, application, treatment. Summary: Basic information and properties of zirconia ceramics, its field of application. Key words: zirconium, ceramics, prosthetics, stomatology. Khanenko O. А.Medvedskyi A. М. Summary: The aim of this work is to consider the possibilities Rsync utility as a tool for file synchronization and backup on remote machines. Key words: synchronization, Rsync, backup, remote access, SSH, Linux, GUI. Summary: The aim of this research is to create a methodology for developing SaaS-applications, which would combine basic design patterns cloud-native applications and provide an environment for their easy creation and support. Summary: Analyzed and compared with analogue Canvas tag for use in multimedia. Key words: multimedia, graphics, cross-browser compatibility, HTML5, Canvas, Web-site, Web-application. Summary: Evolution of the Beijing strategy in Central Asia promulgated by the changes in the Western policies towards China and formation of the Eurasian economic union. The Beijing belt and road initiative as a broader context for such strategy. Key words: China strategy in Central Asia, belt and road initiative, Western policies towards China, Eurasian economic union.